My day began with a grande sized Iced Hibiscus Tea from Starbucks, as I sat for a couple of minutes waiting for my friend (and official photographer for the day - thank you!! ), Nina. We were set to go to Acer's Playspace at SMX during the day and Make Your Own Havaianas 2013 at Rockwell Tent later that evening. The Acer Playspace event was really interesting because they had speakers who talked about how they mixed work with play. If you want to know more of my thoughts on the event, continue reading. The first speakers were these two dudes from Craft Coffee Workshop, who spoke about how they started to immerse themselves in the world of coffee and essentially put up their own shop for specialty coffee. They boast of freshly roasted coffee and a training center where they "play" with equipments, brewing different flavors and mixes. 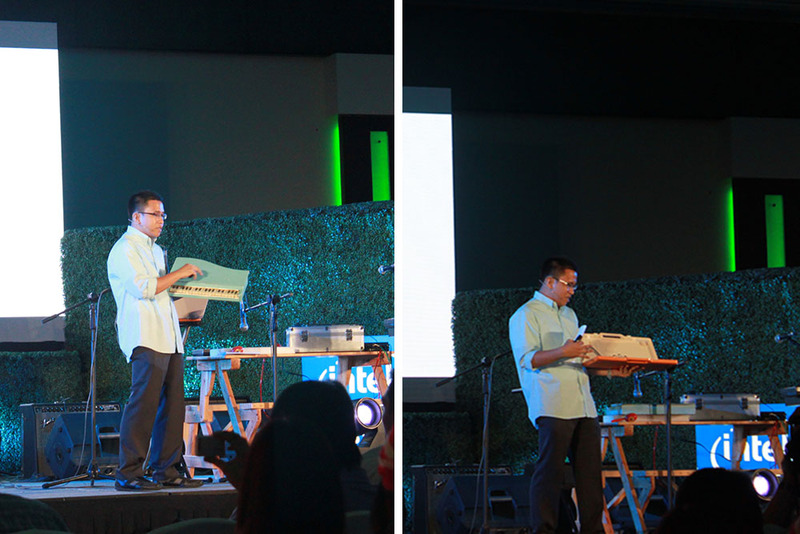 The second speaker was Cris Garcimo of Gentle Universe, who uses toy instruments to create innovative sound that can transcend through generations. Not only did he show us the instruments he has collected over the years, but the other members of his group also came up on stage to perform. According to him, PLAY means Positivity, Love, (being) Active), and Young. The most important thing is that when you work, you love what you do because without love, all you're left with is PAY. Everyone seemed to agree--including myself. The third speaker was Kamusta? Magazine's editor-in-chief, who talked about how they balance out their work with play through the online magazine because they all have full-time jobs, but then they also work on the online magazine which has become a passion of theirs. Lastly, cool underwater photographer Gutsy Tuason did a talk on how he started out doing what he is doing now. 35 years of diving and being with the creatures of the sea and he is not stopping anytime soon. I was so amazed with the photographs he showed on his presentation! Too bad my camera was running out of batt at this point, so I don't have a photo of him or his presentation. All in all, it was nice to see how these artists play on their own fields. It really inspired me to look for what I am most passionate about and seek the possibilities of taking it further.